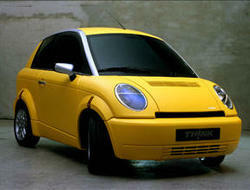 Norwegian car maker TH!NK unveiled a new model, a five seater, the TH!NK Ox, at the Geneva Auto Show. 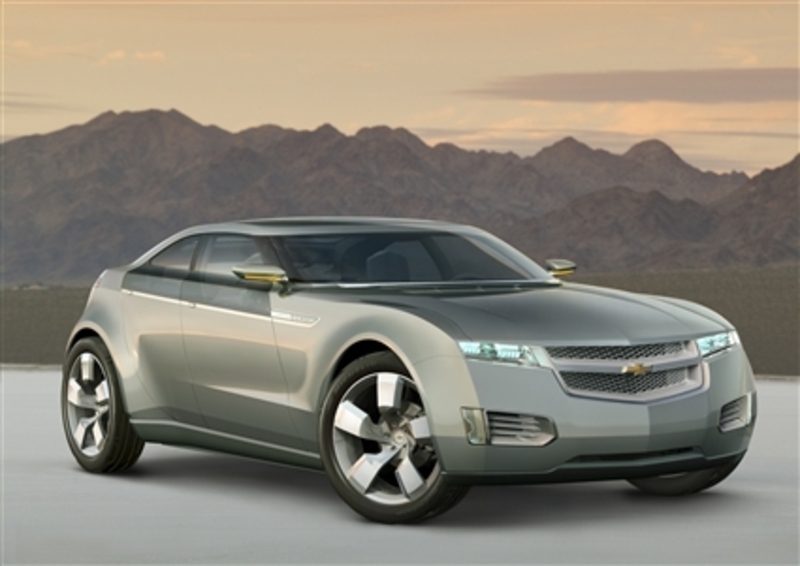 The production model is said to closely resemble the concept car. The base model Ox, scheduled for production in 2011, will have a range of about 125 miles (200 kilometers) on a charge and a top speed of about 80 mph (130km/hr). A crossover, the TH!NK Ox is an electric five-seat car close to the size of a sport utility vehicle but lighter and more aerodynamic. In a related announcement GE said it is ramping up its efforts to enable global electrification of transportation by investing in $4 million in TH!NK and $20 million in A123Systems. 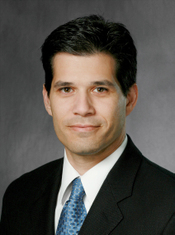 GE is now A123’s largest cash investor. TH!NK has signed a commercial supply agreement with lithium-ion battery manufacturer A123Systems. The A123 supply agreement provides TH!NK with patented Nanophosphate™ lithium-ion batteries for the TH!NK City, now in production at the company’s factory in Norway. 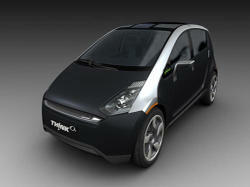 Think is delivering TH!NK City cars in Norway, with international sales to follow later in the year. We see many important opportunities emerging from our new relationship with GE. This relationship will help TH!NK – the manufacturer of the first highway-approved electric car in mass production – to stay at the forefront of electric vehicle technology. Enova Systems, Torrance, CA, has announced that it has received a production order and has begun delivering 90kW and 120kW electric drive components for in excess of 1,000 units during 2008, and as many as 3,000 in 2009 to Smith Electric Vehicles, in Vigo Centre, UK, a division of The Tanfield Group Plc. Tanfield also intends to start production of its commercial electric vehicles in North America during 2008. Enova has supplied electric drive train components to Tanfield since 2006, to help produce high performance electric drive train systems for Smith Electric Vehicle’s zero emission vans and trucks. 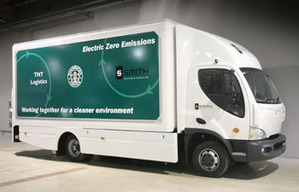 Smith utilises a 120kw electric drive system in the Smith Newton, the world’s first zero emission 7.5t - 12t truck. A 90kw electric drive system is installed in the Smith Edison, the world’s first all-electric sub-3.5t van. 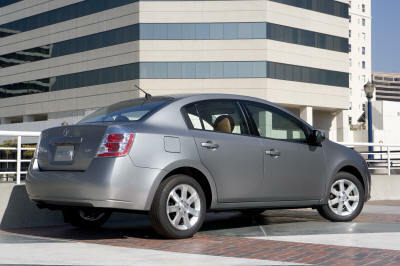 A typical Smith Electric vehicle can achieve ranges of up to 150 miles between battery charges and speeds of 50 mph. Because they are zero emission, Smith Electric Vehicles are exempt from the London Congestion Charge and also qualify for free parking in parts of central London. The electric truck market seems to be taking off. When will electric cars really reach this level? Mitsubishi Unviels New "I MiEV"
Mitsubishi Motors Corp has unveiled the newest version of the electric vehicle, "i MiEV," with a longer cruising range than the previous model and a new Li-ion battery . Mitsubishi aims to launch mass-production of electric vehicles in 2009. And, in this field test, the company plans to investigate such issues as the "preferable length of time for charging from the viewpoint of users" and "compatibility with rapid rechargers under development by electric companies." Two major improvements in the new test vehicle are the adoption of new Li-ion rechargeable battery and the cruising range extended from 130 to 160km in the 10-15 Japanese test cycle. The longer range was achieved by a more efficient redesigned motor, improved regeneration capability, lower rolling resistance tires, the control system, and reduction in the size and weight of the components in consideration of mass production. 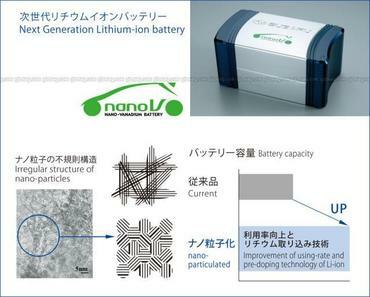 A new Li-ion battery produced by Lithium Energy Japan, a joint venture of Mitsubishi Motors, GS Yuasa Corp and Mitsubishi Corp will be used for the first time. Lithium Energy Japan plans to produce 200,000 cells (equivalent to the demand for 2,000 units of electric vehicles) in the FY2009. (2010 was forecast in earlier announcements as the expected date of production) The performance of new battery is the same as that of its predecessor, made by Litcel, but with added safety features. The chief executive of Shell has posted this article on Shell's new energy scenarios. I was made aware of it by The Oil Drum, who first posted it at http://www.theoildrum.com/node/3548 and I thought it was worth repeating for your comments. They had a large number, 153, of mostly very insightful comments at the time of this posting. The article supports the peak oil theory, as I envision it. They defined it as the time that easy accessible oil will no longer be able to keep up with demand, their estimate being 2015. I interpret that as meaning that heavy oil, as in the tar sands of Canada and the heavy oil in Venezuela, and oil shale are not significant sources of oil by 2015 and that their addition will cause significant increases in the price of oil which will have an effect on demand. The exact date is not that important, but it is meaningful that they predict a relatively near date, within the next 10 years. They also predict that A growing number of cars are powered by electricity and hydrogen. I think they underemphasize this important factor in reducing our consumption of oil, and believe that hydrogen will not play that important a role. I think a very aggressive development of PHEVs, EVs and biofuels combined with North Americas' (USA, Mexico and Canada) remaining reserves of oil should be able to supply all our needs to power our vehicles and have some expensive oil left over to export to other countries before 2100, hopefully by 2050. The statements that more nuclear power will be required and that carbon capture and sequesteration (CCS) must be required on coal powered power plants in all developed countries are right in line with my thinking. In the interim period, until renewable power can replace all aging nuclear and coal powered plants, these power sources will be required, no matter how much power is saved by increased efficiency in the home and in industry. From the economic point of view nuclear power has the clear advantage over coal when CCS is required on coal plants. However there is opposition to nuclear in some quarters and will be as long as the threats of proliferation and problems with waste disposal remain issues. To me the ideal situation would be thorium fueled plants with fuel recycling. However it will be a very long time before there is any consensus on that. The complete text of the article, as appears on the Shell website, is given below. The bold facing is mine. By 2100, the world’s energy system will be radically different from today’s. Renewable energy like solar, wind, hydroelectricity, and biofuels will make up a large share of the energy mix, and nuclear energy, too, will have a place. Humans will have found ways of dealing with air pollution and greenhouse gas emissions. New technologies will have reduced the amount of energy needed to power buildings and vehicles. Officials from ZAP (OTCBB: ZAAP) and China Youngman Automotive Group announced their Joint Venture Company has initiated the RFQ (Request For Quotation) process for a vehicle project called the ZAP Alias™. The Joint Venture Company targets the Alias to retail at a price of $30,000 in a two-passenger vehicle with a top-speed of over 100 miles per hour and a range of at least 150 miles per charge. The goal is to bring an affordable, highway capable electric vehicle to market quickly to capitalize on surging interest for electric car technologies. 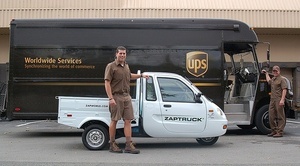 UPS rolled out an electric car and truck fleet this week to help with small parcel deliveries in in Northern California using 42 electric cars and trucks from ZAP (OTCBB: ZAAP). The move was made to reduce fuel consumption, reduce CO2 emissions and to provide a more maneuverable vehicle in congested urban areas. 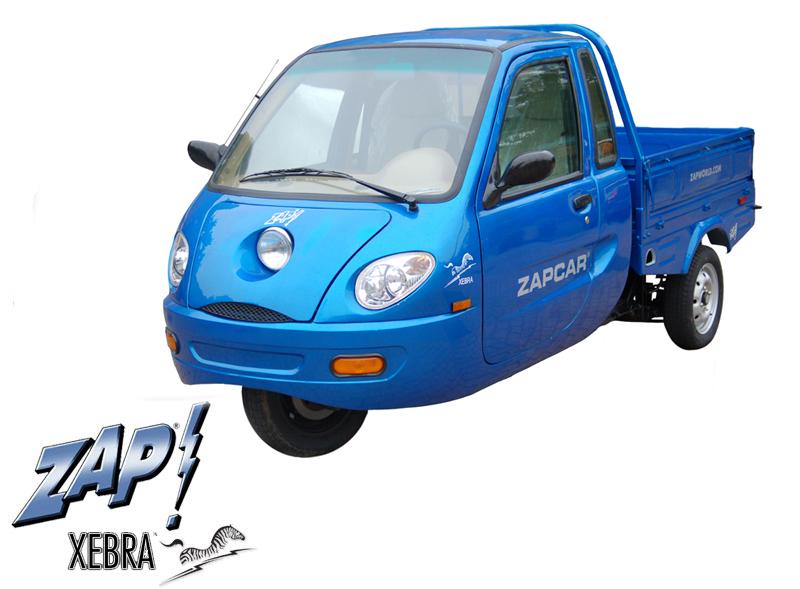 The UPS branch in Petaluma, California (just north of San Francisco) has leased an initial fleet of 42 ZAP Xebra® electric city cars and trucks for their small parcel deliveries. This is the first time that UPS has used electric city-speed vehicles for this purpose. Mitsubishi Motors Corporation introduced the i MiEV SPORT at the 40th Tokyo Motor Show. Based on the i MiEV, the i MiEV SPORT maximizes the sporty possibilities of the zero-emissions electric vehicle. The high power and environmental performance of its electric motors is claimed to make it an exhilarating drive that delivers superior environmental performance. 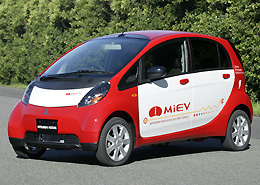 The i MiEV SPORT is intendded to enhance the "driving" image of Mitsubishi's electric vehicles. The car features Mitsubishi Motors' unique in-wheel motors in the front plus S-AWC (Super All Wheel Control) — the company's vehicle dynamics control system — to achieve high maneuverability as well as high levels of both environmental and running performance. Geometry, metallic materials and body are designed to epitomize the futuristic electric vehicle. Interior lighting, has been carefully thought out, with the use of many blue LEDs suggestive of nature, creating a sophisticated, cutting-edge atmosphere. The interior is sporty and dynamic as a result of the substantial use of mesh materials, while the space, with various natural elements, fosters feelings of both security and comfort. 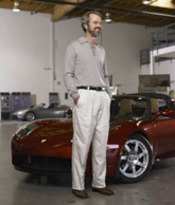 Tesla Motors has received over 560 reservations out of a planned goal of 800 for the 2008 model. The Tesla Roadster is a stylish, high-performance, 100% electric sports car, that can accelerate to 60 mph in about 4 seconds and has a range of more than 200 miles on a single charge. They expect to start shipping Roadsters to customers this Fall. London was chosen because it is regarded as one of the least car-friendly cities in the world. Businesses in the central area not only have to cope with the £8(US$16) - a-day congestion fee, but also face high parking charges and heavy traffic density. The electric version is powered by a 40bhp motor, can go up to 70 miles before the battery goes flat and has a top speed of 70mph. Recharging is done through a standard electrical power point and costs about £1.20, producing the equivalent of 60g/km of carbon dioxide emissions at the power station, Smart says. That's a far lower figure than any petrol or diesel car in the world. According to a recent press release, Electric car producer ZAP (OTC BB: ZAAP) is developing a new electric vehicle that is more affordable for consumers. With a targeted price of $30,000, ZAP says the technology for the new vehicle is similar to that of an electric SUV concept announced earlier this year called ZAP-X (earlier post), but will be available sooner. This certainly makes more sense than the ZAP-X and it will appeal to a much larger set of customers. 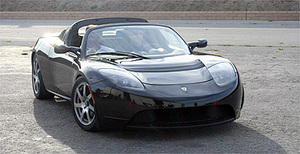 Tesla has recently built the first couple of validation prototypes of the Tesla Roadster. They were built from hard-tooled components for all body panels, include production headlights, taillights, and interior components (including much more comfortable seats), and many other minor parts. CEO Martin Eberhard is shown with one of the prototypes. Many design changes were made to make it more durable and safe. Most changes added weight, increasing the car’s weight by several hundred pounds. Lithium ion cells with a slightly lower capacity than the largest cells available were chosen, because the smaller (and more mature) cells have better long-term durability and higher tolerance for abuse. Azure Dynamics Corporation (TSX: AZD.TO) a developer of hybrid electric and electric powertrains for commercial vehicles announced that it has signed a supply agreement with Electro Autos Eficaces of Mexico to furnish 1,000 drive systems for integration into the Nissan Tsuru (Sentra) vehicles, which is commonly used in the municipal fleet of Mexico City. The Tsurus' are being converted from gasoline-powered vehicles to electric vehicles as part of Mexico City Mayor Marcelo Ebrard's initiative to improve air quality and general health and quality of life in the city. Mayor Ebrard will drive the first converted vehicle to the International Electric Vehicle Forum on May 8, 2007 in Mexico City. The balance of the 1,000 vehicles will be converted over the following 18 months. Azure's scope of supply for the 1,000 drive systems includes the motor, controller, gearbox and DC-DC converters and is valued at more than CDN$7.0 million (US$6.1 million). The potential for more sales is great as Mexico City operates a fleet of over 25,000 Tsurus. The type or source of the batteries or the range of the vehicles was not given. Pacific Gas and Electric Company (NYSE: PCG) announced that they are the first utility to publicly demonstrate the power of electric vehicles to supply homes and businesses with electricity, showcasing the first-ever utility Vehicle-to-Grid (V2G) technology demonstration, the reverse flow of energy from the vehicle back to the outlet, during the Silicon Valley Leadership Group Alternative Energy Solutions Summit. V2G technology allows for the bi-directional sharing of electricity between Electric Vehicles (EVs) and Plug-in Electric Hybrid Vehicles (PHEVs) and the electric power grid. The technology turns each vehicle into a power storage system, increasing power reliability and the amount of renewable energy available to the grid during peak power usage. In addition to reducing energy costs, V2G technology could provide the ability for customers to sell back energy to the utility during hot afternoons when demand is highest and most costly to avoid blackouts. During these periods, energy is worth several times more than overnight when vehicles charge. Vehicle owners will select a price threshold at which they are willing to sell energy, and when the price reaches this point the utility will be able to automatically draw energy out of the vehicle, leaving enough for the drive home if necessary. The utility's customers would then earn credit in the amount of energy used by the utility toward their monthly energy bill. The City of Richmond and Bay Area electric car distributor ZAP (OTC BB: ZAAP.OB) are launching a pilot fleet program to demonstrate ZAP electric trucks in a city fleet, the first fleet in the country to incorporate all-electric city-trucks. These trucks will be used on the historic Bay Trail restoration project with the City's Public Works department. "As the first fleet in the country to incorporate all-electric city-trucks we are proud to promote zero emissions vehicles," said Richmond Mayor McLaughlin. "We're signaling a direction. Our legacy for the young people of Richmond is lower green house gas emissions, cleaner air, less pollution and a greater commitment to make Richmond vibrant and sustainable." ... Tesla Motors will build a new automobile assembly facility in Albuquerque, bringing 400 high wage jobs and a total capital investment of $35 million. Construction on the 150,000 square foot plant will begin in April 2007, at the latest. ZAP to Use Lotus APX Concept Car as Basis for Electric ZAP-X. ZAP has announced an exciting new car that brings another electric car to the scene in the US that promises a range up to 350 miles and outstanding performance. This is in addition to the electric cars offered by Tesla and Phoenix Motor Cars, which have shorter ranges. This brings up the question as to whether battery technology has progressed far enough that the plug-in could be bypassed and we could go directly to EVs. I don't think so, but we are much closer than I would have thought a year ago. It makes me wonder why Detroit is still so concerned about battery technology. They could certainly bankroll someone to get the production rate of batteries up to at least a 100,000 units a year and get the price down to a more reasonable value. Following is the press release by ZAP. Be sure to read my interview with ZAP and further comments following the press release. ZAP (OTC BB: ZAAP) today announced plans to display Lotus Engineering's advanced APX concept car, shown here, at the North American Dealers Association (NADA) annual meeting and exhibition, February 3 to 6, 2007, confirming their choice to move ahead using Lotus' revolutionary platform and body structure design as the basis for the development of the high performance electric ZAP-X. While the cars are cheap to operate, require little maintenance and are easy on the environment, they have significant limitations. You can't take a Xebra on the freeway because it only reaches 40 mph. And they can only travel about 25 miles per charge, or up to 40 miles a day with additional charging, which is accomplished by plugging the cars into an ordinary household 110-volt outlet. I have avoided writing a post on this car, but this article saved me the work for those of your that are interested. Via EE Times: Following the introduction of its first electric car, startup Tesla Motors on Jan. 8 dropped hints about a next-generation sports sedan for the 2009 time frame. The car will boast the equivalent of 110 miles per gallon and will continue to use off-the-shelf lithium ion batteries. According to Winding Road the sedan is said to take on the BMW 5-Series, the rear-drive vehicle will be sold globally, with a more ambitious volume target of 10,000-20,000 units per year. The as-yet-unnamed second model will likely ride on a chassis made of lightweight steel. The sports sedan will cost between $50,000 and $75,000 and have room for five adults and a full-sized trunk. Phoenix Motorcars has announced the receipt of 75 fleet orders from several municipalities and an utility company for its new zero-emission, all-electric, freeway-ready sports utility truck. The company, which is on target to manufacture and sell 500 fleet-ready vehicles by year’s end, will produce 16 pilot-build vehicles next month. The Phoenix Motorcars sport utility truck can cruise on the freeway at up to 95 m.p.h. while carrying five passengers and a full payload, a capability that has caught the attention of fleet dealers, consumers, Hollywood and the media. It exceeds all specifications for a Type III ZEV and has a driving range of 130 miles. Its Altairnano's NanoSafe™ battery pack can be recharged in less than 10 minutes, with a 480V recharger and has a life-span of 12 years or more. Phoenix is currently working on an expanded battery pack that will allow a 250-mile range, still permitting a 10-minute charge. It will be available in late 2007. Altair Nanotechnologies Inc. (Nasdaq: ALTI) entered into an exclusive three year supply agreement with Phoenix Motorcars and in return has received a 16.6% ownership of Phoenix. Altair has received a purchase order for its NanoSafe™ 35 KWh battery pack systems from California-based Phoenix Motorcars for $1,040,000 for battery pack systems scheduled for delivery in February and March 2007. In addition, the company announced it has entered into a multi-year purchase and supply agreement with Phoenix under which Phoenix has projected orders for 2007 between $16 and $42 Million for up to five hundred battery pack systems. $42,000,000/500 = $84,000 -- This doesn't make sense. What's wrong? Dec 28, 2006 -- Altair Nanotechnologies Inc. (NASDAQ:ALTI) announced today that it shipped ten rapid charge, high power NanoSafe(TM) battery packs to Phoenix Motorcars, Inc. on schedule. 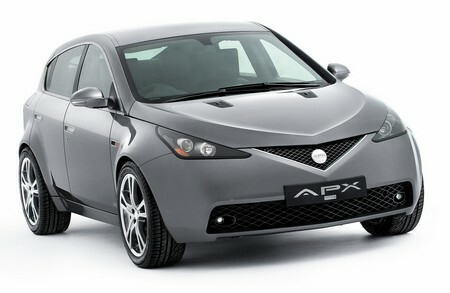 Phoenix Motorcars confirmed that the shipments of ten 35 KWh battery packs fulfilled and completed the $750,000 order placed by Phoenix in July 2006. The company placed an additional order for one 35 KWh battery pack which will be shipped later this week. Altairnano's NanoSafe battery packs allow the Phoenix sport utility truck (SUT) and sport utility vehicle (SUV) to exceed performance specifications for the State of California Type III Zero Emissions Vehicle. Altairnano provides nano-Titanate based batteries that are used in two battery pack configurations: a 35 KWh and a 70 KWh NanoSafe pack. The 35 and 70 KWh NanoSafe packs provide sufficient power and energy for a fleet vehicle to travel up to 130 or 250 miles, respectively, with a top speed of over 100 mph. Both NanoSafe battery packs can be recharged in less than 10 minutes using an industrial 480 volt battery charging platform. The NanoSafe battery packs can also be charged over longer periods of time when using typical 120 or 240 volt power sources. An on-board charger is standard equipment for both the Phoenix SUT and SUV vehicle. "We are pleased with the on-time shipments, the quality and performance of the Altairnano NanoSafe battery packs," said Phoenix Motorcars' CEO Daniel J. Elliott. "Early customer interest in our SUV and SUT vehicles has exceeded expectations. Phoenix has committed to use Altairnano's NanoSafe battery packs exclusively and we anticipate placing more orders for the NanoSafe battery packs shortly. Phoenix is on track to begin commercial delivery of our full size, all electric Sport Utility Trucks to the fleet market in the spring of 2007." 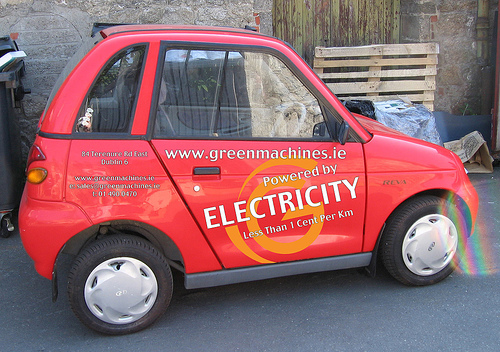 The new, improved performance G-Wiz AC drive electric car from GoinGreen is now available for sale, for delivery in April-May, in London. The G-Wiz AC replaces the current G-Wiz DC - and costs the same, at £8,299 inc VAT (US$16,215) - but offers many enhanced and exclusive features including a class-leading increased top speed of 45 mph and a range of up to 48 miles. The car, basically a special model of the Reva, is standard with lead-acid batteries, but is convertible to Li-ion batteries. Also new on the G-Wiz AC is optional air conditioning. 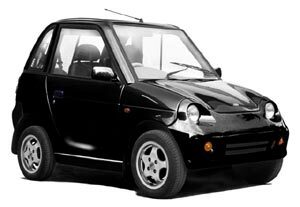 The 2 door, 2 +2 seater hatchback G-Wiz was designed in California, is manufactured by Undo-US Reva Electric Car Company and is the best selling electric car in the UK - and worldwide with over 800 G-Wiz's customers in London. Phoenix Motorcars announced today that it remains focused on the fleet market, and following the installation and testing of the first Altairnano (NASDAQ: ALTI - News) NanoSafe(TM) batteries last week, the first sports utility truck (SUT) is now ready for prospective customer demonstrations. In the week of Dec. 11 the vehicle will be taken to 3 fleet buyer sites for the first ride-in demonstrations. "We anticipate that following these demonstrations we will receive evaluation orders for vehicles prior to our SUTs being included as standard vehicles in fleets," says Phoenix Motorcar CEO Daniel J. Elliott. With over 200,000 fleet vehicles in California alone the market opportunity is huge and fleet operators are seeking freeway capable zero emission vehicles. Today the Phoenix SUT is the only viable all electric vehicle to meet all the specifications of State of California CARB Type III ZEV. By focusing on fleet operators Phoenix can achieve rapid time to market while maintaining a reasonable cost structure because the vehicle requirements and finish are reasonably uniform, and fleet operators maintain their own maintenance and vehicle charging infrastructure. TNT Express and TNT Logistics are testing an electric 7.5 tonne truck which they believe is the first zero emission vehicle that can compete with a diesel on urban delivery routes. The truck, built by Smith Electric Vehicles of Sunderland, has a payload of about two tonnes, a top speed of 50 mph and range of about 130 miles. The truck, called the “Newton” is powered by four large “Zebra” 278v Sodium Nickel Chloride batteries on the underside. Fully charged, the vehicle has a range of 130 miles. It can be re-charged on board or through domestic mains or a standard three-phase socket. If the trial proves successful, TNT will consider adding 200 other zero emission vehicles to its fleet to serve in other urban locations in the UK. Peter Bakker, TNT chief executive, said TNT wanted “to be the cleanest, greenest express, mail and logistics company on the planet”. BBC News - Two charging stations that are thought to be the first street recharging points for electric cars in the UK have been unveiled in London. They will join 48 free charging stations to be found in 13 of the council's car parks. A spokesman said they were being introduced because electric cars were "ideally suited" to city driving. This is a major step towards building an infrastructure for plug-in hybrids and electric vehicles. The rest of the world should take note. India's Reva Electric Car Company, the only producer of electric cars India has announced receiving investments worth USD 20 million from Draper Fisher Jurveston and Global Environment Fund. This investment will help the company expand and consolidate its position in world’s electric car market. They will use this money to expand business by increasing production capacity, developing newer models and further enhancing its international and domestic distribution. The company can produce 6,000 units a year and is planing to expand its capacity to 50,000 cars a year. 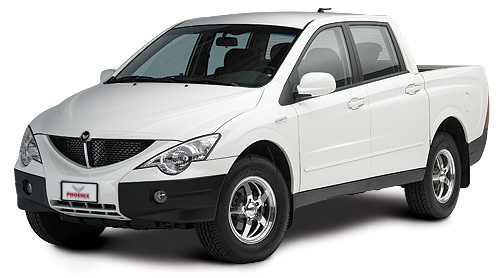 Reva car is currently available on sale in India and is also marketed in UK, Italy, Malta, Sri Lanka, Cyprus and Greece. It is also being test marketed in other nations including Norway, Spain, Japan, the USA, Ireland, Australia and other European countries. Phoenix Motorcars has installed the first NanoSafe production battery pack system from Altairnano (NASDAQ: ALTI) in a Phoenix Motorcars sports utility tr uck (SUT), and completed initial testing. “The results are amazing, we are delighted with the quality of construction and the specification of this first production battery pack,” says Phoenix Motorcar CEO Daniel J. Elliott. The Altairnano NanoSafe battery pack is a 35KWh configuration and will enable Phoenix to equip a sports utility truck (SUT) that can be charged in 10 minutes and achieve up to 130 miles between charges. This SUT will be used as a demonstration vehicle for initial sales, and already it is committed for multiple prospect demonstrations and a trade show in December. 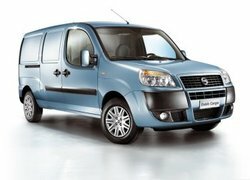 “Based on early feedback we are confident we will be able to sell at least 500 vehicles into the fleet market during 2007. The SUT is an ideal vehicle for fleets because it combines a large payload capability with the ability to carry 5 adults at freeway speeds, and deliver a driving range of 100+ miles. With over 200,000 fleet vehicles in California alone, and no one else providing a viable zero emission, fleet-ready vehicle, we have an outstanding market opportunity. Now that we have seen the production quality of Altairnano’s NanoSafe batteries we know we have a winner,” added Dan Elliott. UQM Technologies Inc. (AMEX: UQM), a developer of power dense, high efficiency electric motors, generators and power electronic controllers, announced that Phoenix Motorcars, Inc. will be exhibiting its all electric sport utility truck (SUT) (previous post) powered by a UQM® propulsion system at the San Francisco International Auto Show which began Nov. 17 and runs through November 26th. The Phoenix all electric SUT is powered by a 100 kW UQM® electric propulsion system which produces over 400 ft-lbs of torque, accelerates the vehicle from 0 to 60 miles per hour in less than 10 seconds and operates at peak system efficiencies of over 94%. The vehicle’s 35kWh NanoSafe™ battery pack (previous post) supplied by Altair Nanotechnologies, Inc. can be recharged in less than 10 minutes, with the appropriate battery charger, provides sufficient power and energy for a fleet vehicle to travel up to 130 miles and can travel at speeds up to 95mph. The vehicle is expected to qualify as a Type III ZEV in California. Altair Nanotechnologies Inc. (Nasdaq: ALTI), has produced and showcased their fast charge, long life, safe nano-Titanate batteries in Phoenix Motorcars’ zero emission, all electric, freeway ready, full sized sports utility truck (SUT) and sports utility vehicle (SUV) at the SEMA show. During the show, Altairnano gave numerous interviews on the performance of the nano-Titanate product technology and demonstrated the battery packs safety and fast charge performance. Altairnano’s safe nano-Titanate battery packs allows the Phoenix vehicles to exceed all specifications for the State of California Type III ZEV. Altairnano offers two nano-Titanate battery pack configurations: a 35 KWh and a 70 KWh NanoSafe pack. The 35 KWh NanoSafe pack can be recharged in less than 10 minutes, with the appropriate battery charger and provides sufficient power and energy for a fleet vehicle to travel up to 130 miles. The 70 KWh NanoSafe pack can also be recharged in less than 10 minutes, with the appropriate battery charger and provides sufficient power and energy for a full sized SUV to travel up to 250 miles. Altairnano is on track to deliver ten 35 KWh NanoSafe battery packs in the fourth quarter to Phoenix Motorcars and is prepared to supply additional 35 KWh NanoSafe battery packs to support Phoenix upcoming SUT market introduction build in early 2007 and SUV 35 KWh and 70 KWh battery packs in the later part 2007. Mitsubishi's third-generation, battery-powered electric car will be unveiled Oct. 23 at an alternative vehicle symposium in Yokohama, Japan. 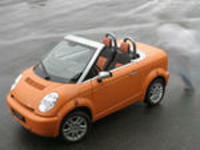 The new research EV is based on MMC's "i" mini-car, and named "i MiEV". The i MiEV (Mitsubishi innovative Electric Vehicle), is equipped with a single motor, unlike the Colt (previous post) and Lancer Evolution electric cars, which use in-wheel motors. Mitsubishi says the car has a top speed of 80 mph and can travel 80 to 100 miles on a single charge. A Mitsubishi Motors spokesman said 2010 was one target for offering marketable electric vehicles by stretching their driving range to 250 km (155 miles) from up to 160 km (100 miles) now. But he stressed that the need for special infrastructure and higher recharging speeds meant auto makers were powerless to achieve this on their own. Diesels are big in Europe but not in Japan and the U.S. Timing and sales volume targets were not disclosed. A detailed announcement about the car is expected shortly. The production version might be based on the next-generation Colt, which is due before the end of the decade. 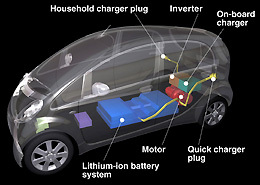 A Dec. 2005 article in the Chicago Tribune stated that the estimated recharging time for the lithium-ion batteries would be only 10 minutes, not stating where the electricity was coming from and the car would be available in 2009. The car is only zero emissions while running -- which does not count the emissions created while making the electricity for charging, which is advantage when driving the car in an urban environment and since central power lants can run more efficdintly than on-vehicle electrical production. The small ICE allows for charging of the vehicle fairly efficiently, in case the batteries are discharged unexpectedly, assuming the batteries are normally charged by connecting them to the grid. This would reduce the fear of being stranded, while not having the complexity and cost of a plug-in hybrid. Cars using motors built into the wheels are becoming a popular concept. The Volkswagen Chameleon concept is based on the 1964 Microbus and showcases the latest in electronics and electric-car technology. Volkswagen's Electroniconics Research Laboratory (ERL), located in Palo Alto, California has taken a 1964 Deluxe Microbus and retrofitted it with a collection of cutting edge technologies. The concept vehicle, dubbed the Chameleon, uses roof-mounted surfboards lined with flexible solar panels that provide an additional source of energy to this 100% electric vehicle. The engine in the Microbus has been replaced with an all-electric drive engine powered with lithium polymer batteries in collaboration with Hybrid Technologies. The exterior features keyless entry, LED lighting and wide-angle parking cameras. The interior has an interactive digital instrument cluster, embedded touch pads and speech-activated controls. 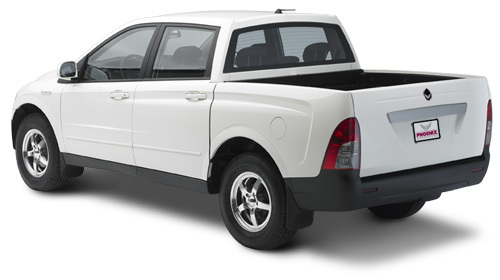 According to Redding.com (CA) Mark Willmon, an electrical engineer from Anchorage, AK, overhauled a Mitsubishi pickup, replacing its gasoline engine with an electric motor that runs on batteries to give him an electric vehicle that is more economical to commute to work with than a gasoline ICE car. About a year ago, facing soaring gas prices and a 20-mile-a-day commute, Willmon said he did some math and figured he'd come out ahead if he invested the time and money to build an electric-powered vehicle. He's part of a small but growing group of people nationwide who are putting together vehicles that run on electricity instead of expensive gasoline or diesel fuel. Altair Nanotechnologies Inc. (NASDAQ: ALTI - News), with their electric vehicle partners, Boshart Engineering and Phoenix Motorcars, will road demonstrate a full size electric SUV at the California Air Resources Board Zero Emission Vehicle (ZEV) Technology Symposium, held next week, September 25-27, 2006 in Sacramento, California. The demonstration electric SUV is an early model of the commercially available vehicle, targeted for volume delivery in Spring 2007. This vehicle is planned to be capable of road speeds up to 95 mph, a driving range that is configurable up to 200 miles, a battery recharge time potential of less than 10 minutes, and an acceleration of 0 to 60mph in less than 10 seconds. Another configuration of the vehicle as a Sports Utility Truck, previous post, will also be on display at the Symposium.